Check out The Webcomic Factory and Super Frat for daily updates! And check out Tony's Media Podcast below. 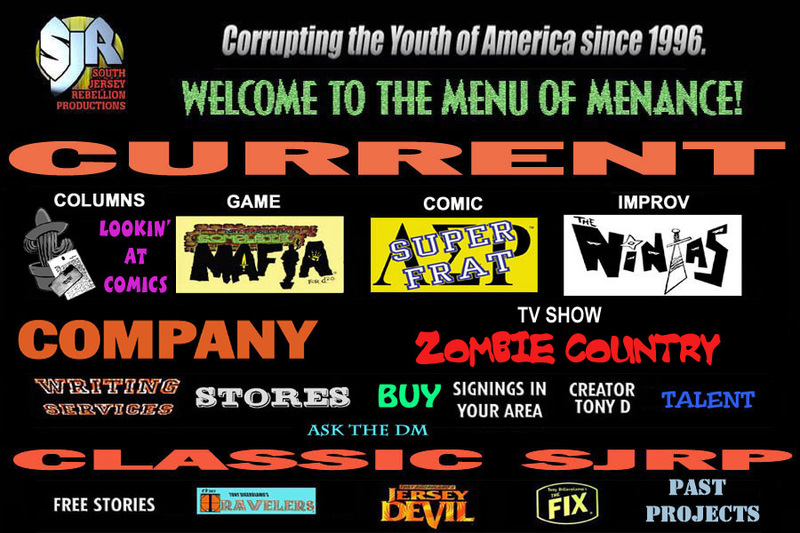 Click cover for the reviews of Complete Mafia for d20. Visit Kenzer & Company, publisher of The Travelers (4-20)! © 1996 through 2011 and beyond Characters, logos and stories are all copyrighted and trademarked by Tony DiGerolamo and may not be reproduced without his expressed written consent.